Foto de stock - Church in snowfall. Winter in Barbele, Latvia. Church covered in snow. 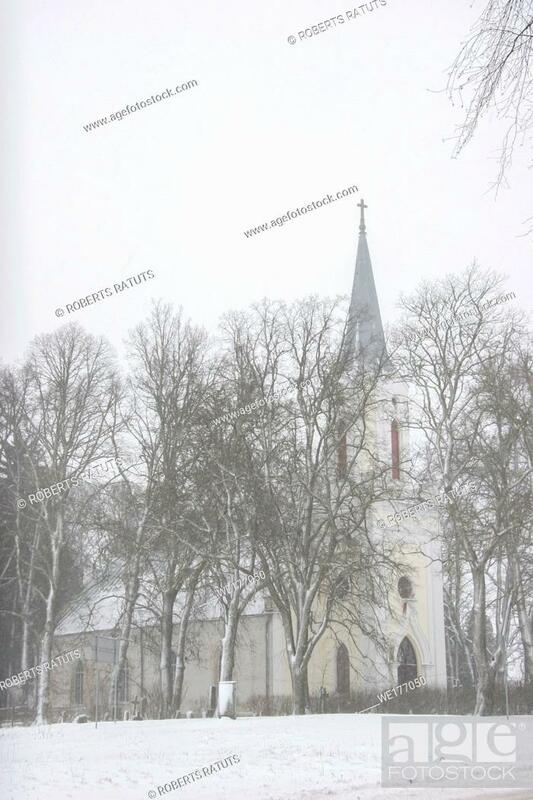 Winter landscape with snow covered church and trees. . .